The ALS is often the most misunderstood aspect of a DUI case. Our Warren County, Ohio OVI defense lawyers understand the intricacies of the ALS and how to approach it to the greatest benefit to our client. After an arrest for OVI, the police ask for a chemical test to determine the concentration of alcohol in the person’s blood stream, or the “Blood Alcohol Content,” BAC. 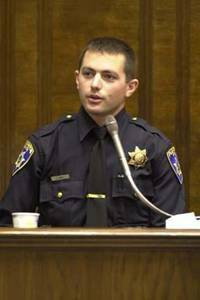 If a motorist refuses, or submits and the BAC is .08 or more, the license is immediately suspended administratively (hence the term “ALS). This is because the suspension is not imposed by a Judge, but by the Ohio Bureau of Motor Vehicles which is an administrative agency. Under the power vested in the Ohio BMV, the police officer is deputized as a BMV official for the limited purpose of imposing the suspension. 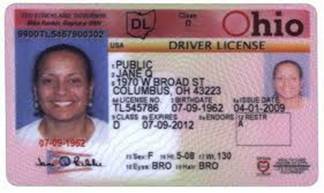 The ALS is legal and constitutional because possession of an Ohio driver’s license is a privilege and, upon accepting same or driving with an out of state license on a Hamilton County, Ohio roadway they are implicitly agreeing to providing a breath, blood, or urine sample to a police officer when there is a belief that the person is operating under the influence of drugs or alcohol. Refusing to provide a sample or providing a sample over the regulatory limit results in a suspension. Despite the prompt suspension of driving privileges, a motorist does have rights to an ALS suspension hearing to set aside the ALS suspension. However, our Cincinnati are Butler County, Ohio OVI lawyers must act quickly as the demand for a hearing, called an ALS appeal, must be made within 30 days of arraignment or forever waived. the person took the test and did not test over the legal limit. Supplemental arguments our Cincinnati, Ohio Administrative License Suspension Lawyers utilize to set aside the ALS is based upon a defect in suspension form utilized by the police. In order for the suspension to be imposed, the BMV must receive a notarized copy of the 2255. Often the form is not properly notarized or executed, and this leads to a voiding of the suspension. If the ALS suspension is upheld after suspension then the suspension remains in place. For a first time offender a refusal suspension is 1 year, and an over the limit suspension is 90 days. Depending on how many refusals, the ALS suspension can be up to 5 years for multiple offenders; depending on how many over the limit offenses the ALS suspension can be up to 3 years. Notwithstanding the length of the ALS suspension, it can and often does terminate early. Under the law, the ALS suspension terminates upon a conviction for a DUI. It does not terminate if the person is acquitted. For example, if a person refuses a breath test and this is a first offense, and the OVI charge is dismissed, the ALS of one year remains in place. If the defense attorney is negotiates a reduction, there is still an ALS in effect for one year. However, if the person is convicted of DUI, the ALS is automatically terminated by the BMV and the punative suspension, which is often shorter than the ALS suspension, is superimposed. These are important considerations that our Ohio OVI/DUI defense lawyers review so you can determine how to best defend your Ohio operating a vehicle under the influence charge. If a person took the chemical test and was over the legal limit, the trial judge can, and usually does, grant conditional driving privileges. 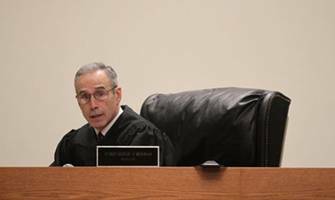 However, once the ALS ends and the case is still active, pre-trial limited driving privileges granted by the Judge are no longer valid. Nonetheless, the motorists full driving privileges are not automatically restored. First the motorist must comply with the Ohio BMV reinstatement requirements. There is a $475.00 reinstatement fee and the motorist must provide proof of current insurance. Our Ohio OVI lawyers will marshal you through the reinstatement process, as we are familiar with the BMV reinstatement center procedures at the Ohio Bureau of Motor Vehicles reinstatement center at the BMV reinstatement center in their Mt. Healthy office. Upon a subsequent conviction to an alcohol related offense after an ALS suspension termination the court still has to impose a suspension. On a first offense, this is at least 6 months and can be up to 3 years. However, whatever length of suspension is imposed, the motorist will get credit for the first 90 days and the reinstatement fee will be credited for reinstatement after the judicial suspension period terminates. Our Cincinnati, Ohio area DWI lawyers have years of experience defending against DUI/OVI in the City of Cincinnati, Hamilton County, Clermont County, Butler County, Warren County, and the state of Ohio. In defending against an OVI suspension, be it an administrative or punative suspension, we can build many argument and defenses to prevent a suspension or have your license restored to you as fast as possible. We protect your rights from beginning to end. Give us a call today to start preparing for your defense.